Category: Self Defence DVDs. Tag: self defenc. Morné Swanepoel is a full time coach and fighter and is world renowned in the MMA, BJJ, Reality Based Personal Protection, JKD and Tai chi world. Now more than ever, you need to learn to defend yourself and your family and loved ones against possible street attacks.If you have had no training, or haven’t watched any training material on the art of street fighting and defence, how do you think you will react when faced with an attack?Would you instinctively know what to do? 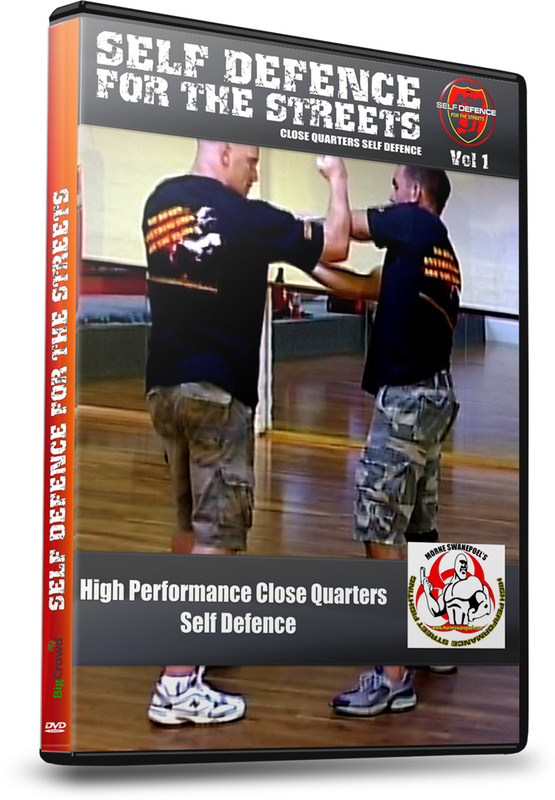 Self Defence for the Streets – Volume 1 guides you through the steps you need to learn and implement in order to defend yourself and your loved ones when faced with a street confrontation. With a very easy to watch format, you will soon pick up the priceless tips, tricks and strategies taught here, leaving you so much better equipped to deal with the real world. As soon as you start to watch, you will begin to pick up easy to implement ideas on self protection and self defence.